Sharing your live with a beloved dog is going to become unsustainable, says an Australian researcher, leading to a shift to companion robotic dogs. 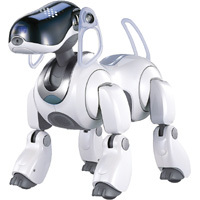 Dr Rault says that when a robot dog dies in Japan because it is not repairable, many owners hold a funeral for it. Dr Rault says the consequences of a shift towards robotic pets will be good for people who suffer from allergies, but may also cause a shift in ethics – with people more detached from the suffering of mortal beings. I don’t want to live in a world that goes backwards in terms of animal welfare. And I can’t cuddle up in bed at night with a robot, nor see the blissful look on its face when I massage it. I hope Dr Rault is wrong. You can read Dr Rault’s article in the journal Frontiers of Veterinary Science by clicking here. 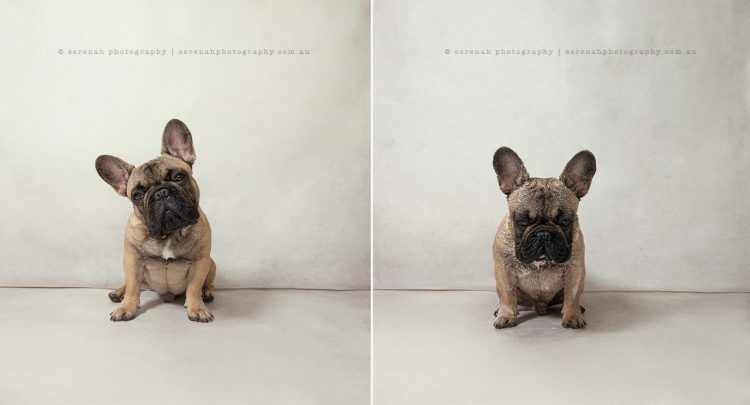 Here’s a few of Serenah’s photos and you can follow her on Facebook to see more of her work. The Swedish members of Team Peak Performance started out as a team of four in a 430-mile adventure race through the Amazon. 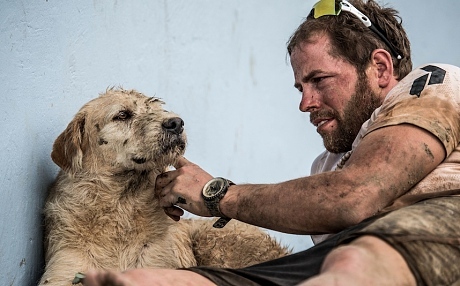 By the time they finished the race in Ecuador, they had added a 5th member, a canine named Arthur. Arthur’s story, including his subsequent relocation to Sweden, has captured the world’s attention. This is a classic case of a dog choosing its adoptive owner. It started when Captain Mikael Lindnord threw a stray dog a meatball at a rest break. A 24-mile rainforest hike, one leg of the race, was about to begin and the stray kept pace with the team. When the team entered its kayaks for a water part of the race, the stray (now named Arthur) jumped in to swim and stay with them. “The organisers advised us not to bring Arthur, as it could be unsafe on the water,” explained Mr Lindnord. Mikael has now adopted Arthur and brought him back to Sweden to become a member of the family. Recognizing that Arthur’s story has touched many who want to help other strays, the team has set up the Arthur Foundation to receive donations. You can follow Arthur’s progress on the Team’s Facebook page. 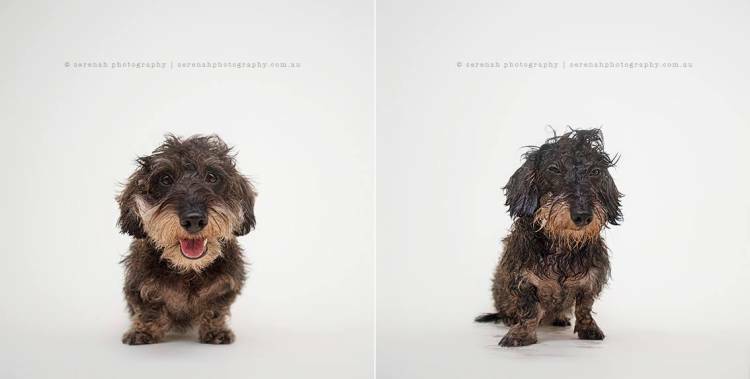 This one really is for the record books – how small do you think a dog can get? 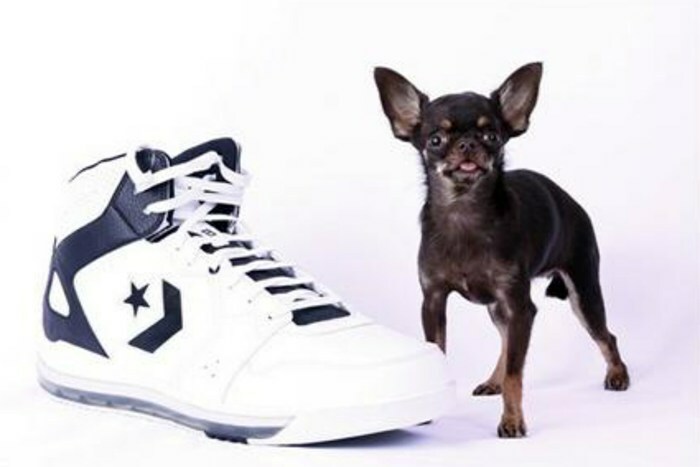 The world’s smallest dog, according to the Guinness Book of World Records, is Miracle Milly. She’s a Chihuahua who lives in Puerto Rico. She is only 3.8 inches tall (see photo above for scale). 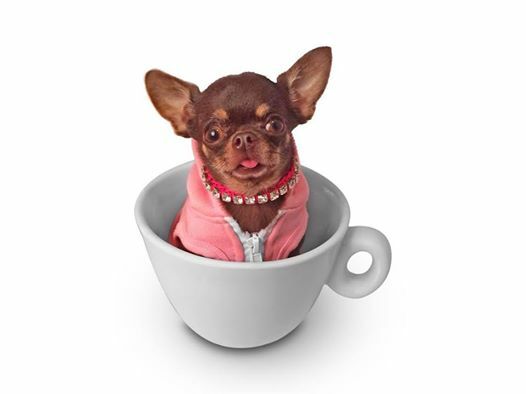 Since she is a Public Figure, Milly has her own Facebook page and, like many small dogs, her owner likes to dress her up for photos. 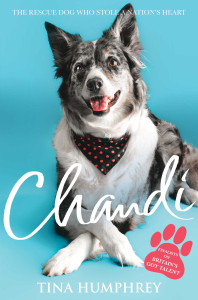 I have just finished reading Chandi: The Rescue Dog Who Stole a Nation’s Heart by Tina Humphrey. Chandi is the story of Humphrey’s rescue dog who she trained for Heelwork to Music. Published in 2012, the book opens when Humphrey meets her first dog, Pepper, in 1994. Chandi is adopted from a shelter in 1998 and, for a time, Humphrey trains and competes with both dogs in Heelwork to Music and Freestyle competitions. Tina, who teaches piano and violin, has a natural ear for music and is able to choreograph routines for her dogs that emphasize the stories behind the music. Chandi is a love story. It is about the bond that Tina shares with both of her dogs and the devotion she has for both of them. She is an advocate for a raw diet and natural health care (no wonder I was attracted to the book), in part inspired by her mother who fought cancer for many years using natural therapies. (Part of the book tells the story of how Tina suffers the loss of both of her parents, at separate times, with her dogs there as emotional support). We also share in Tina’s heartache when, in 2007, she and Chandi suffer the loss of Pepper. Anyone who has had to say goodbye to their beloved dog understands Tina’s pain when it is time for Pepper to be put to sleep. 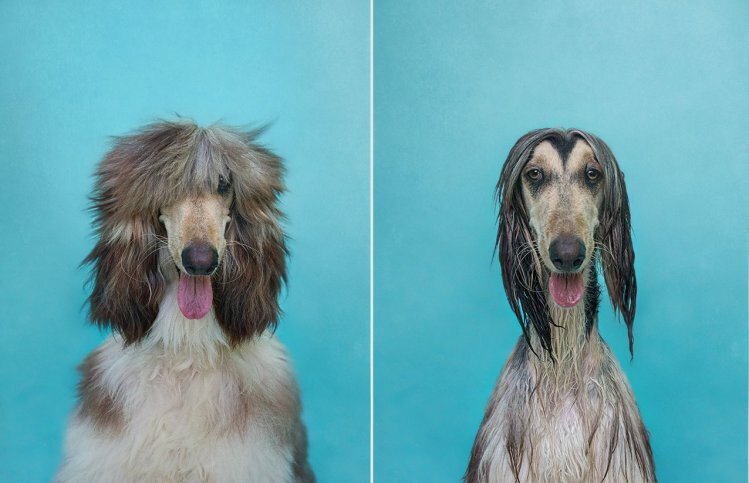 Chandi and Tina win many competitions in their years together including several trophies at Crufts. In 2010, after almost 12 years of competing and sharing their lives, they audition for Britain’s Got Talent and go all the way to the finals, ultimately finishing in fourth place. By then, they are celebrities and enjoy a nationwide tour of the show’s finalists plus other interviews and promotions. And that’s where the book finishes…on a high note. On 26 April 2013, Chandi died at the age of 14 years 10 months. She developed a condition that was thought to be pyometra. However, during surgery to remove her uterus and spleen, it was discovered that Chandi’s body had many other tumours that could not be removed. Tina made the heart-breaking decision that it was time for Chandi to go and was there when she was put to sleep on the surgical table. 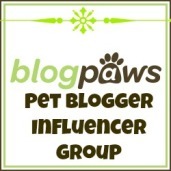 Today, Tina is training a new puppy named Grace and is blogging about her experiences with her new canine companion. You can follow them on Facebook. 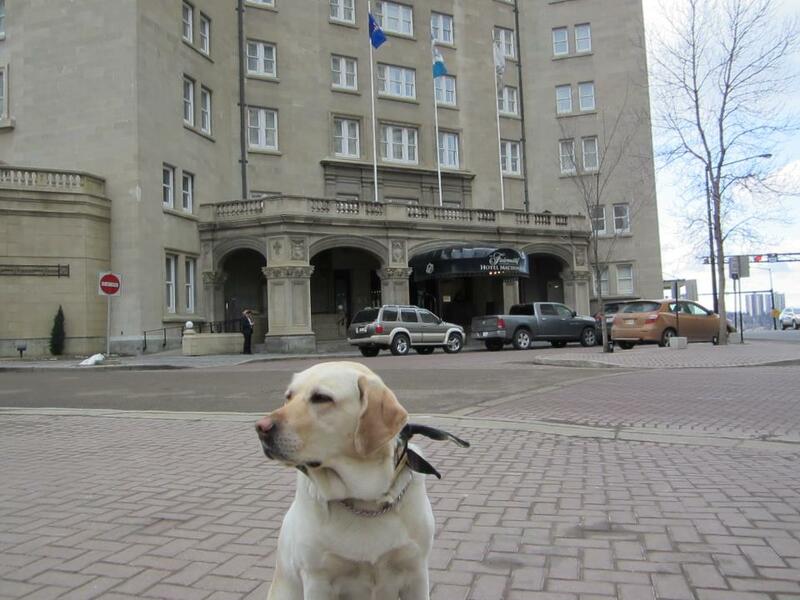 At the Fairmont Hotel MacDonald in Edmonton (Canada), you will be greeted by a very special staff member – Smudge the Yellow Labrador! Smudge is a failed guide dog (due to her enthusiastic/over-friendly nature) and so thanks to a working arrangement with the Canadian National Institute for the Blind, Smudge came to work at the hotel. Guests can book to take Smudge out for a walk and she will visit meetings on request. Look for her (on her bed, by the concierge desk) when you are visiting. Smudge also has her own Facebook page and you can follow her activities there.